We have three letting rooms named after ships that Nelson sailed on. They are situated on the first floor and accessed via a spiral staircase from the ground floor and leading to all rooms. 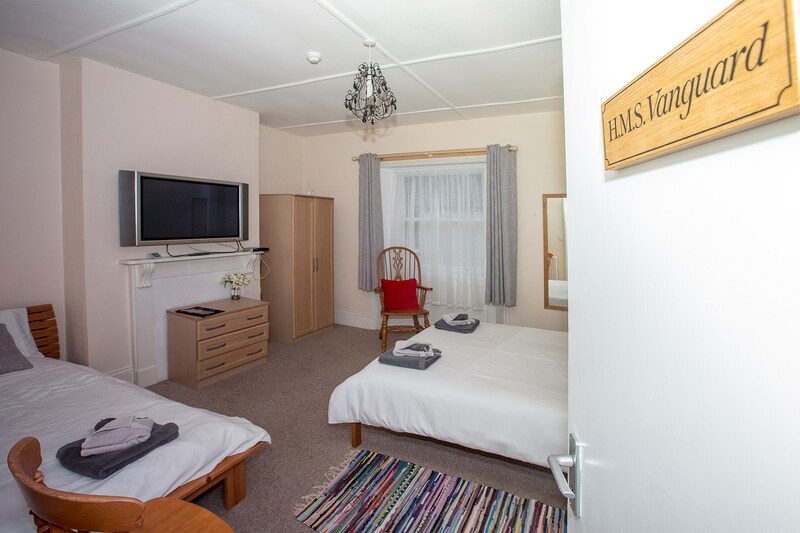 Each room has a TV with freeview and independent facilities for tea/coffee/hot chocolate with biscuits. Each bathroom is provided with shower gel, shampoo and towels. This is a spacious Double En-suite looking out over the front of the building on to East Street. It is a popular room but is situated over the main bar so on busy nights if music is playing, some sound may be heard if you prefer an early night. 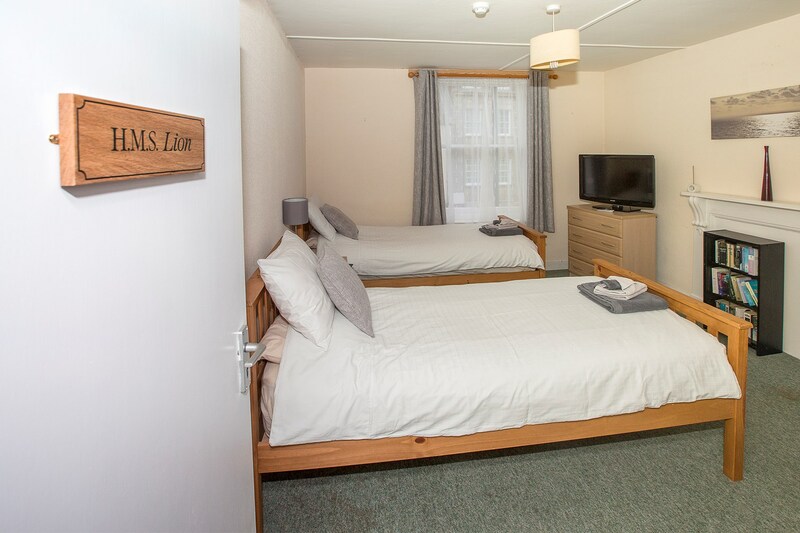 This is a very large Triple En-suite consisting of a single and double bed. The room looks out over King Street that runs beside the pub and is a quiet location. Most residence are surprised by its size. Perfect for younger families. One king size bed and single bed. 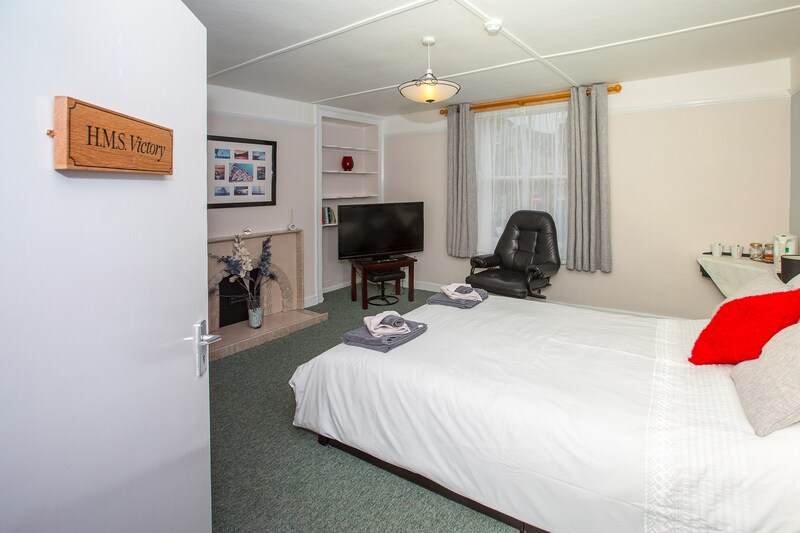 This is a twin room of a reasonable size with a private bathroom. It looks out of the front of the building on to East Street and has a wardrobe and drawers for your convenience. This room is situated above the bar so can experience some noise on busy nights. • Free Wifi throughout the hotel. Please note that hair dryers are not available. Continental breakfast is served in the residence lounge from 08:00 - 10:00 unless by prior arrangement. As we are a small business we do not have a concierge so the building will be locked after 12 midnight unless by prior arrangement.